The madness starts at 7 am in our house each morning trying to rush kids out the door. 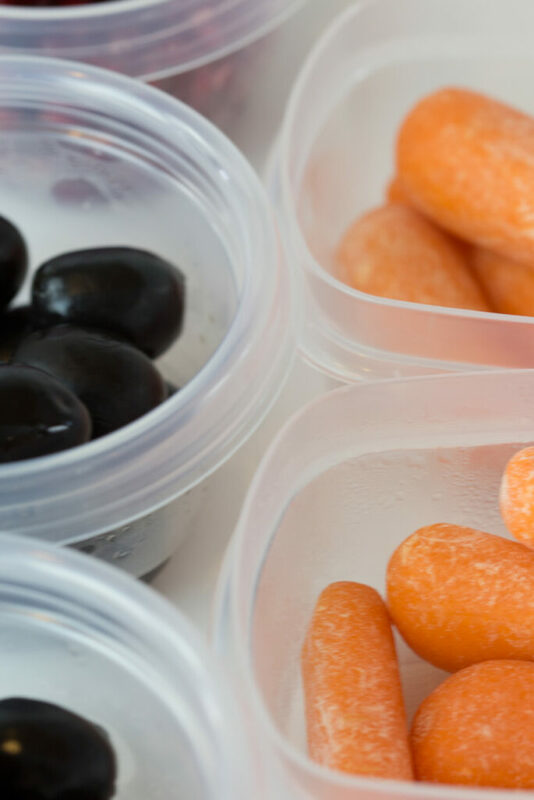 Lunch has always been a nightmare until we figured out some simple hacks to make it run smooth! 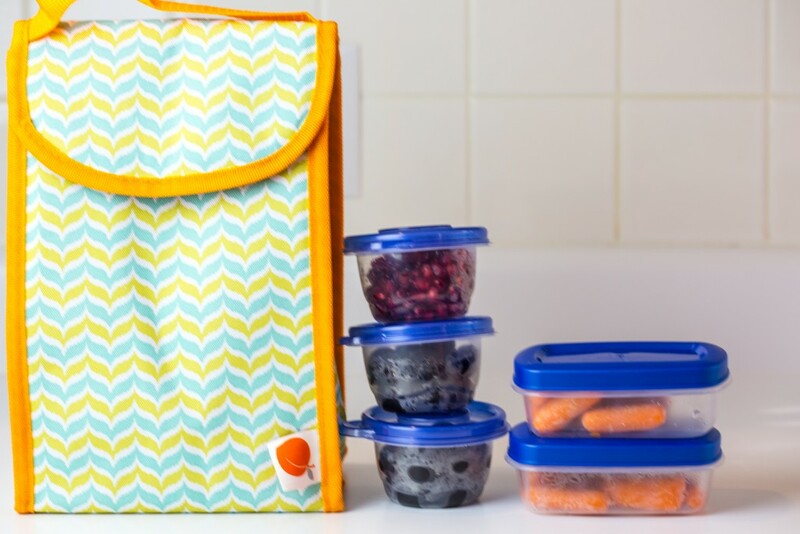 6 Lunch Hacks that will bring back the sanity to your mornings! First: Keep apples from going brown by cutting and then putting a rubber band around it to hold it together. Second: Freeze ’em! Did you know you can freeze most sandwiches? They will thaw by the time lunch rolls around. Prep a bunch on a Sunday night for the week ahead. Third: Buy in bulk and repack! It’s easy and it’s great for the younger kids. They can easily package and get involved. 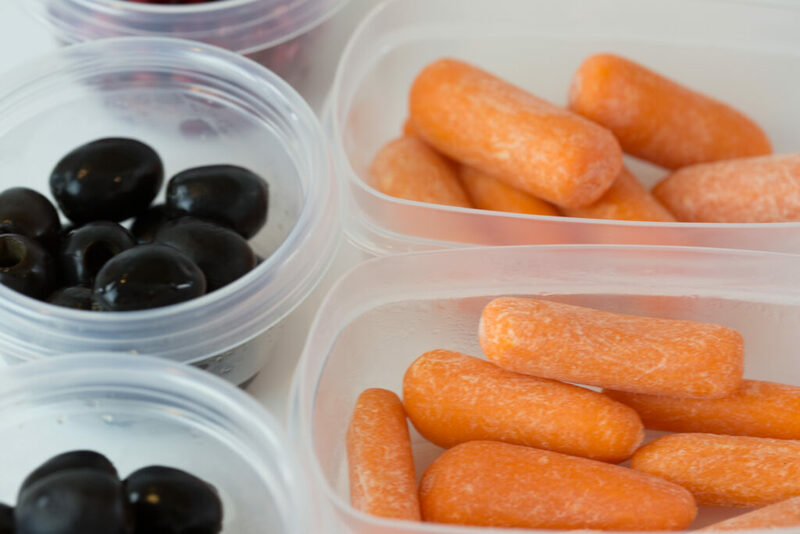 Think carrots, olives, chips, crackers and pea pods! Fourth: Cheap cold packs. Cold packs are a hot commodity in my family! Get the dollar store packs of sponges and dip in water. Throw them in a zip lock bag and put them in the freezer. I can get 4 in a pack for $1 – so when the kids leave them at school it’s not a big deal. Fifth: Set up some bins. Take one. Take two. When they are packing they’ll know what they need to take. The take one bin will contain the ‘sweets’. A dessert of some sorts. Cookies are often found in this bin. The take two bin has the veggies and fruit. This one is often found in the fridge. Carrots, apple slices, olives are often found in this bin. They grab their frozen sandwich and have a meal packed in minutes. Sixth: Pack the night before! Get everything you can get done the night before. It takes the crazy’ness’ off the morning rush knowing one thing is completed! That’s it. Head over to the youtube channel to check out the video! My little Lucas was a great sport in helping with this video! You can find more tips and yummy ideas over at How Does She.